Don't get bent out of shape. 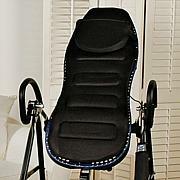 Inversion helps to realign the spine and joints with decompression and gentle stretching. 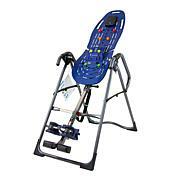 Get the most out of your Teeter inversion table (sold separately) with this multipurpose mat. 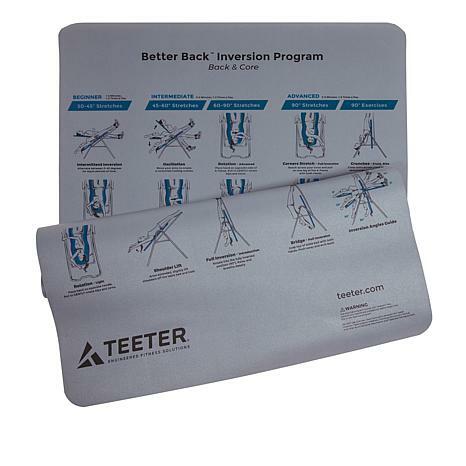 It offers a quick-reference guide to stretches and exercises you can do while inverted, protects your floors and can even be used as a yoga mat! 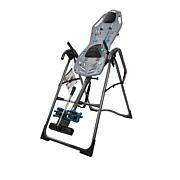 This item is fantastic fit to the Teeter Inversion Table.. Great fit and find.. It's a nice mat to protect floors and since it has pictures of different poses, it should assist as I become better and more secure with inverting. I am happy to have it just to put under the inversion table - the graphics on it are even better!I have an older table, about 10 years old. It doesn't have a lot of the newer features, but it still works great. I am very glad I ordered the mat it keeps my floor from being marked up. has all the exercises to use on it. Trying to get adjusted to the Teeter. Wasn't to hard to put together. It took 20 minutes. I'm following all the instructions to get all the benefits.